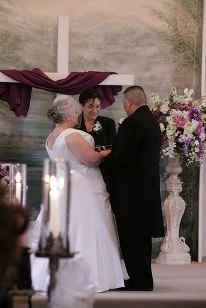 Many people have asked what lead me to my journey and decision to become a wedding officiant. I personally encountered what many engaged couples have shared with me from their own experiences. I can remember when I first became engaged myself, back in 1995, in Everett and the early stages of planning my wedding. I had been raised Catholic yet my fiancee was not, nor did he have a desire to "convert". My home parish priest was unwilling to perform what I requested... what I had heard referred to by people as a "civil" ceremony. I took this news very hard both personally and spiritually. I really wanted to be able to have that picturesque wedding and in the church I not only grew up in but also the same church I served in. I met the ordained minister who was to perform our wedding the old fashioned way... through her ad in the yellow pages of my local phone book. I found out that she was a non-denominational Christian minister. I remember her being very patient, kind, caring and outgoing. 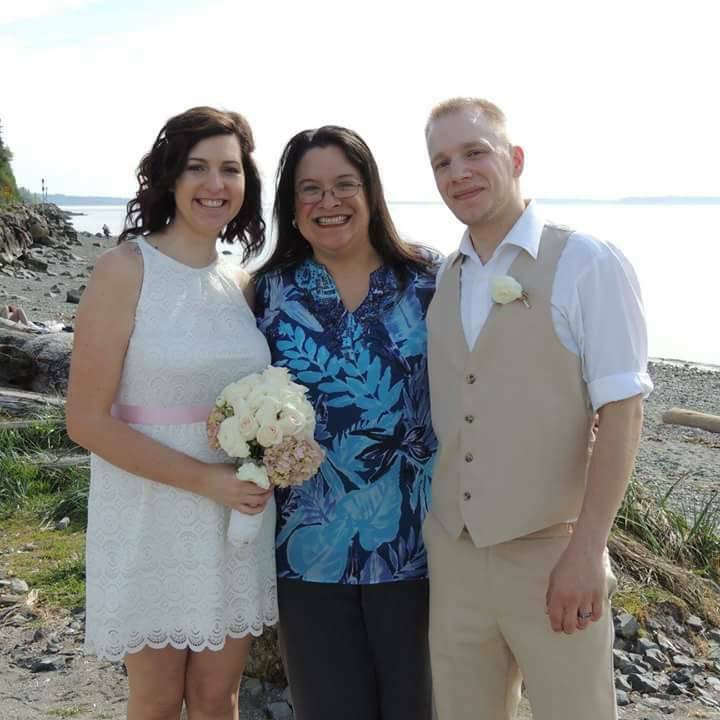 She opened up her home in Lake Stevens,WA to not only us, but a small group of friends and family, and performed my ceremony. Over the years, my spiritual views matured. I found that my personal views and opinions changed as well. As I watched co-workers, acquaintances, friends and family struggle with some of the same issues I dealt with back in 1995, I saw that there was a great need in my own community for people to serve engaged couples regardless of their personal views, spirituality (or none), religious preference (or none) or character. I couldn't help but wonder, "How did this all get so complicated?" I committed myself to what I refer to as "my calling" and became an ordained Christian minister in August 2005. Since then, I have had the honor serving family and friends as well as being able to serve my community not only here in Snohomish County, but throughout the Puget Sound and beautiful NW Washington. 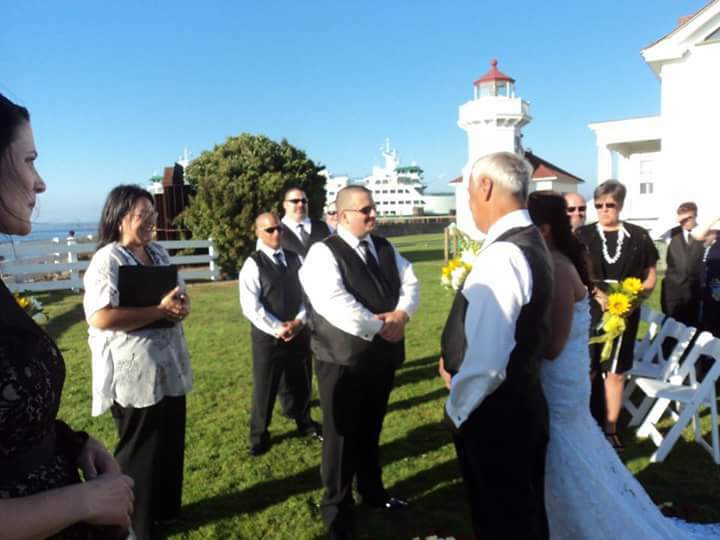 It is important to me to uphold the wishes of each engaged couple as their wedding officiant and refrain from passing personal judgement, regardless of their personal history or their history as a couple. I have first hand experience what it is like to be judged and to be judged based upon someone else's beliefs. It is hurtful, plain and simple. I can honestly say that with each couple I have served, I have upheld this personal promise. I welcome all couples, regardless of their life experiences,backgrounds, personal views, beliefs and other characteristics. My life has been an ongoing study of spirituality, both in my own walk and through the many talks and relationships I have had with others. I currently offer premarital classes, relationship building sessions, mentoring & life coaching for those who are interested in learning more about each other and themselves. I could never thank you enough for such a wonderful ceremony! Your speech (ceremony) was beautiful and there wasn't a dry eye in the whole room! You blended with our families so naturally and received the upmost compliments. We thank you from the bottom of our hearts! 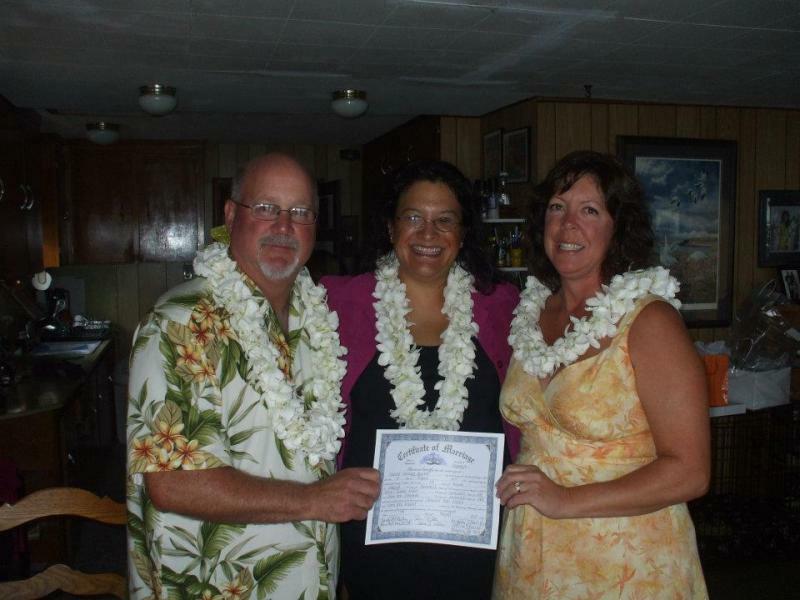 Copyright 2013 Upbeat Wedding Planning & Officiants.